Catchpole, formerly of Pro-Lock Security Limited based in Durham, had previously been sentenced to 32 months in prison at Teesside Crown Court in June 2017. 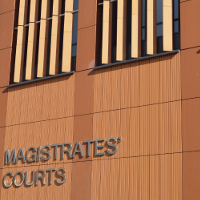 He was convicted of money laundering, supplying an unlicensed security operative and acting as the director of a security company without a Security Industry Authority (SIA) licence. Detective Sergeant Thomas Maughan, from the North East Regional Asset Recovery Team, said: “We are very pleased with the outcome today, which involved fantastic partnership work between ourselves, the North East Regional Special Operations Unit, HM Revenue & Customs (HMRC), the Security Industry Authority (SIA) and the Crown Prosecution Service (CPS).